Runika Jones is a four-foot-five professional thief and amateur runecaster. But one thing she isn’t, is stupid. So when Runika picks the pockets of the Archmaster Luniorn the Green, headmaster of his own runecasting academy for rejected wizard apprentices, she figures she’s done for. But instead, Luniorn offers her a deal: come study at his academy, learn how to properly cast runes, impress him, and graduate. That, or be turned over to the mercies of the Baron’s keep guards. It isn’t much of a choice really. 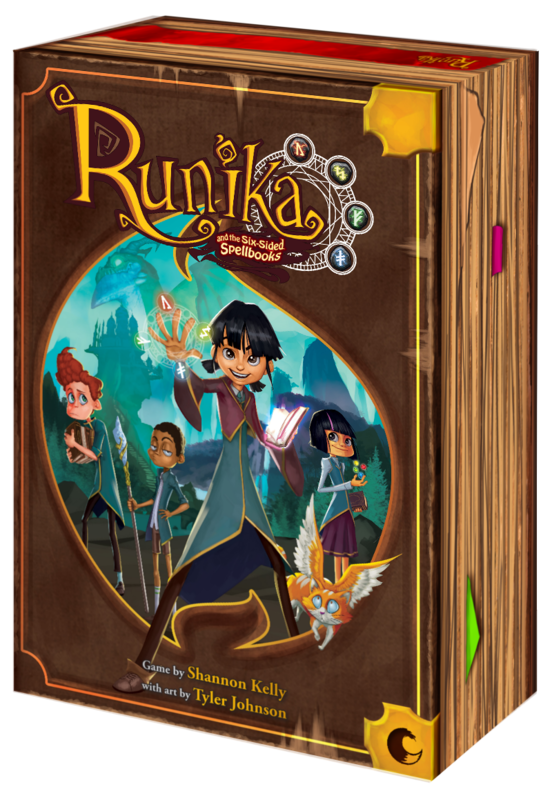 In Runika and the Six-sided Spellbooks, 2 to 4 players take on the roles of students at Luniorn’s academy. Draft customised dice, roll them, and place them in specific runic patterns to cast spells and impress your professors. If you like dice games that tend towards skill over luck, or if you love the plucky heroes and heroines of young adult fiction or stories of magical apprentices then you will like Runika. The game is all about making use of the resources in front of you to solve a puzzle. Play takes place over a number of rounds. Each round, dice are drawn from the bag and then drafted by all players. Once everyone has collected their dice, they take turns placing those dice down on their boards, into a 4×4 spell grid. Dice are pushed on from the side of the board matching their elemental disk, which can be rotated during the game. When dice are pushed on, they might push other dice around on the grid, making correct placement more about setting up next turn than finishing this one. 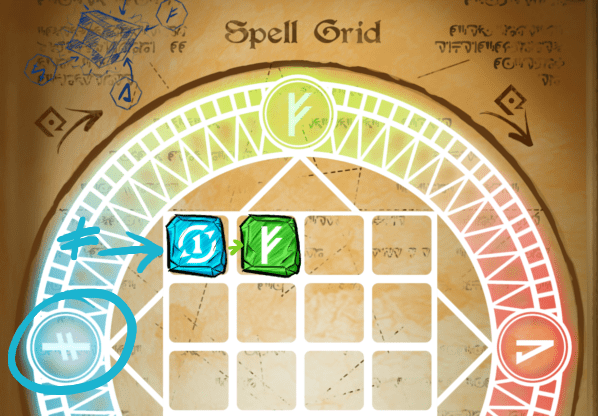 Put dice into a pattern dictated by the cards in front of you to create a rune. Score runes to earn points. Earn the most points to win the game. Simple huh? You can check out a more detailed rules overview here. Runika is due to go on Kickstarter on 30 April 2019. If you are interested in the campaign or updates, you can join our mailing list. 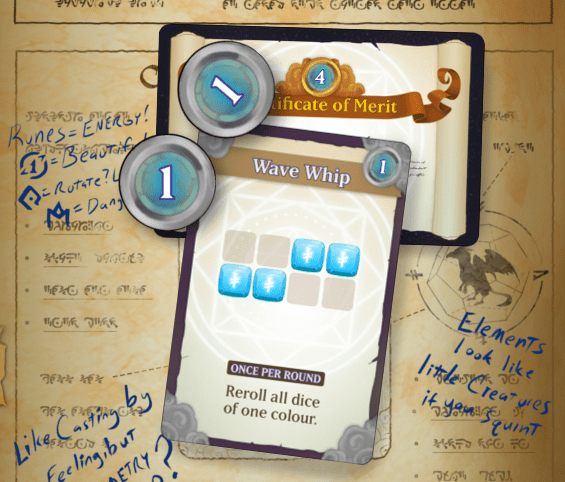 You can also visit Runika and the Six-sided Spellbooks on BoardGameGeek.